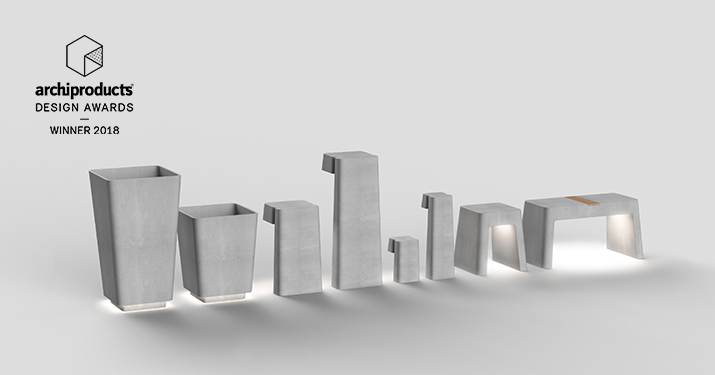 Our concrete collection Brenta wins yet another award: the Archiproducts Design Awards 2018 in the category Lighting. ‘Over 600 products nominated by 400 brands with headquarters in 15 different countries’, these are the numbers of this year Archiproducts Design Awards. After days of research, qualitative evaluations and analysis, the jury – made of 40 among the most influential architectural firms from all over the world, along with designers, journalists, architectural photographers and design curators – has chosen the winners of the ADA 2018. An international and highly skilled judging panel composed by: Ben Van Berkel, Mario Bellini, Paola Navone, Studio Milo, Ramón Esteve, Anwar Mekhayech, Natalie Shirinian, Mario Cucinella, Quincoces-Dragò, Azamit, Fran Silvestre, Francis Rudman and Alex Lesage, Studio Zaven, Studio Testo, Andrew Trotter, Sam Baron, Pedevilla Architects, Melissa Jones, India Mahdavi, Fabio Fantolino, Francesca Molteni, Florence Bourel, Enrico Baleri, Edoardo Tresoldi, Alice Stori Liechtenstein, Diego Grandi, Salva López, Benedetta Tagliabue, Noa, Satoshi Kurosaki, Carlo Ratti, Vudafieri Saverino Partners, Cruz y Ortiz Arquitectos, Anne Sophie Goneau, Fernando Alda, Ana Milena Hernández Palacios and Christophe Penasse, Benoit Jallon and Umberto Napolitano, Fernando Guerra, Marcio Kogan, Andrea Marcante and Adelaide Testa, has decided that Brenta was worth the award in the lighting category for truly standing out and fully embracing the ‘Culture of Project’.